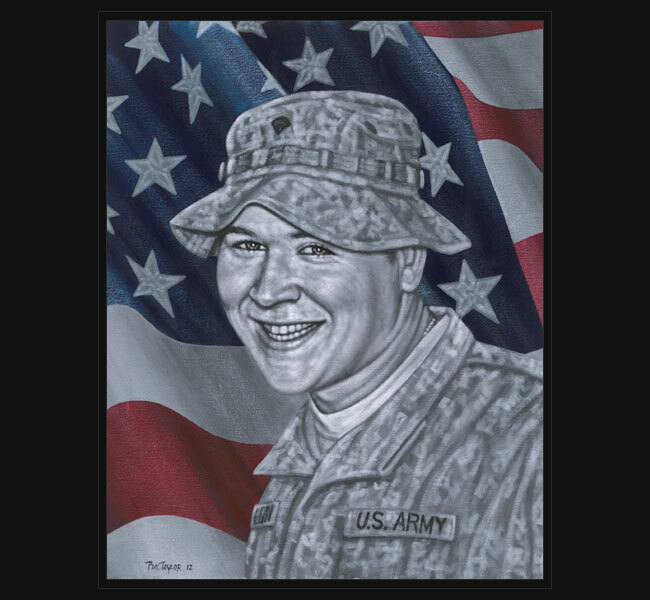 Army CPL Daniel O’Leary died February 23, 2010, of injuries sustained during a vehicle rollover in Fallujah, Iraq. CPL O’Leary was on his second tour of duty in Iraq within three years. He was only a few days away from his scheduled R&R leave when he was killed. Daniel is survived by wife, Nikita Abeyta, and parents Virginia Quiroz O’Leary and Tod Michael O’Leary. Daniel, known as ‘Danny’ to those closest to him, and Nikita had recently gotten married in July of 2009. He had started his career in the Army in April of 2006 and would go on to become a skilled paratrooper of the 82nd Airborne Division in August of that year. “They were his brothers. We were a family,” Nikita said of her husband’s fellow soldiers. “CPL O’Leary was my most reliable, hard working soldier,” said 1LT Matthew J. Ryan, Platoon Leader, Company F, 307th BSB, “It’s been an honor and a privilege to have known Dan for the last five months.” “He had a smile that made you smile in return,” said SGT Matthew E. Wattenburger, Company F, 307th BSB, “He always cared more for others than he did for himself.” CPL O’Leary deployed to Iraq for the second time in August of 2009. “I don’t know where we go from here except that Danny will always be with us,” Tod O’Leary said. CPL Daniel O’Leary’s military achievements and awards include the Overseas Ribbon, Army Service Ribbon, Global War on Terrorism Service Medal, Iraqi Campaign Medal, National Defense Services Medal, U.S. Army Good Conduct Medal, U.S. Army Achievement Medal, U.S. Army Commendation Medal, and The Bronze Star for his bravery while serving in Iraq. Original portrait was presented October 26, 2012, to his family during a special event hosted by American Airlines and held at the C.R. Smith Museum in Fort Worth, Texas.